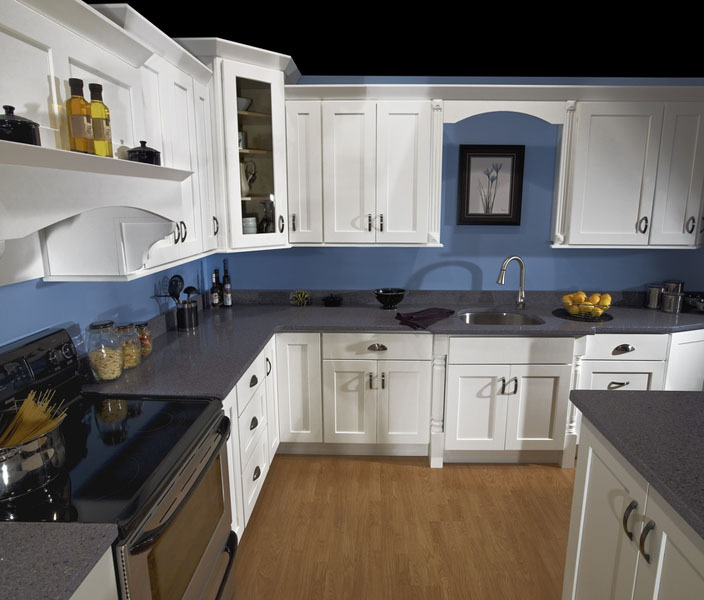 For a clean, traditional design kitchen, look no further than the DOVER Kitchen Cabinet collection from JSI kitchen cabinets. 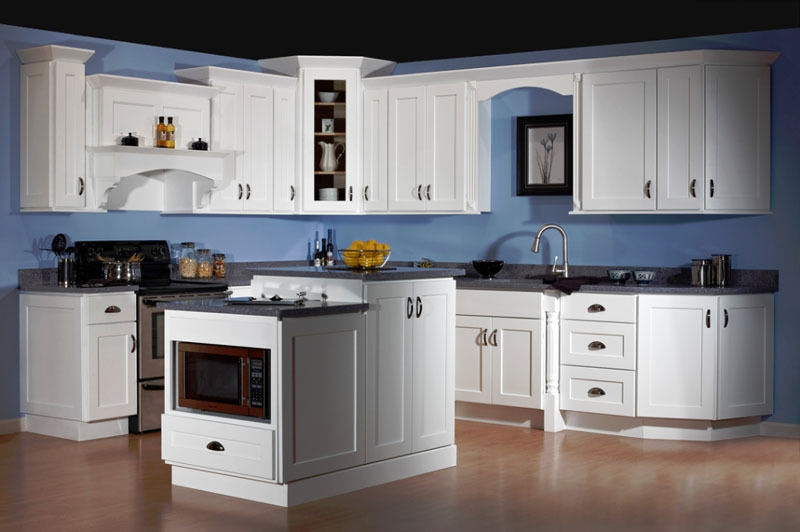 Beautiful, white solid maple wood with shaker style wall cabinets and base cabinets work beautifully to create a stunning kitchen for your home. 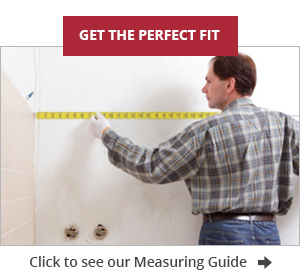 The all wood construction of these base cabinets, wall cabinets, tall cabinets, moldings and accessories can all be used to create a truly custom look and feel. 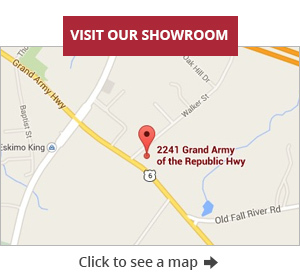 The Cabinet Factory Outlet carries a wide variety of options for this collection, making it easy to accommodate your unique needs and requirements. 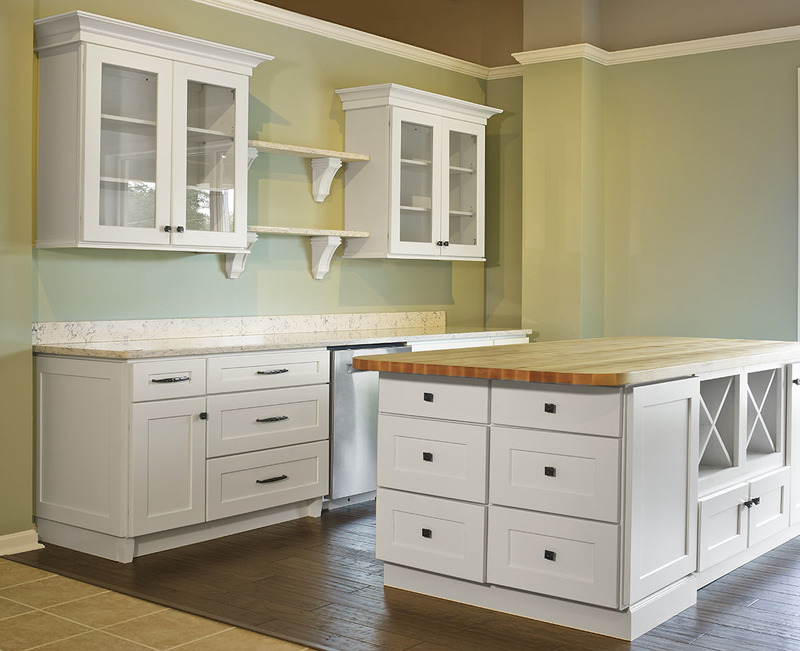 One of the more popular collections from JSI kitchen cabinets that we sell to our clients, the DOVER Kitchen Cabinet series features wide rails on the shaker style wall cabinets with smooth, straight lines. 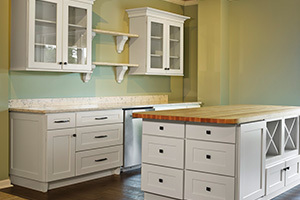 Drawer fronts are slab style and the sturdy steel under-mount drawer glides and beautifully designed dovetail drawer boxes make for an elegant soft close. 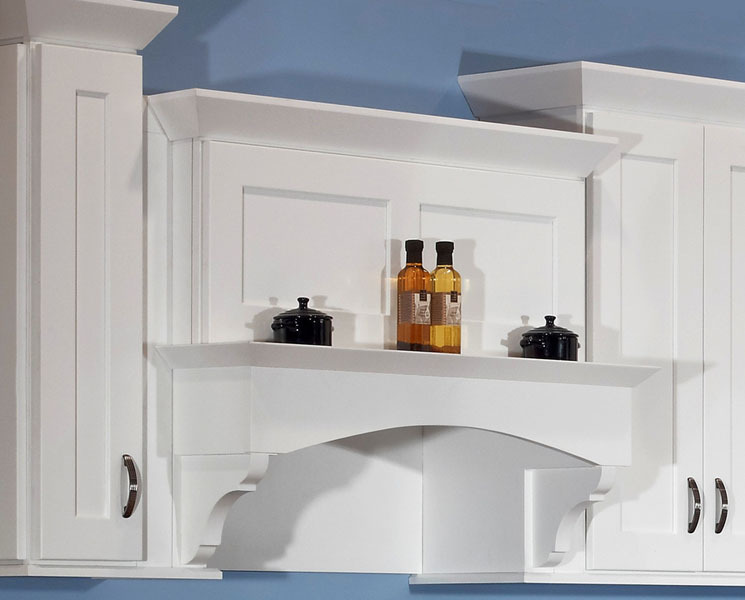 Painted white solid maple wood provides instant beauty, clean features and a classic New England design that will complement just about any home. 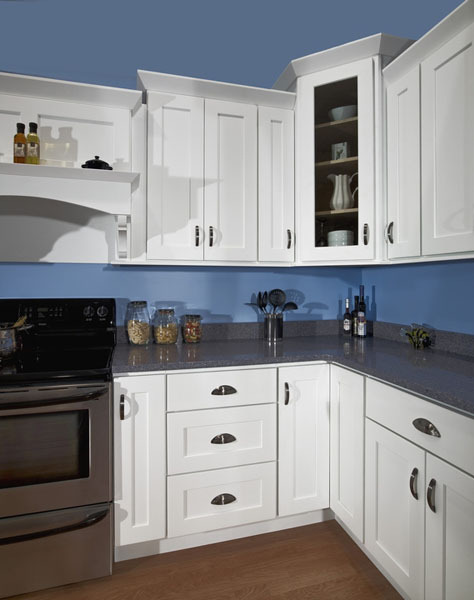 The long-lasting durability of the top notch construction used to create these kitchen cabinets will keep them looking and functioning great for many years to come.